Buying a home is not only an important decision, but can be a sound investment and a choice you will then have to live with for the rest of your life. Finding a good real estate agent is a crucial aspect of the home buying process, and proper attention should be paid to it. While many simply choose a real estate agent after seeing his or her ad in the local newspaper—that praise their merits because that is their intended purpose—or are guided by acquaintances based on their own experience, this is not always the best course of action. While proven results do stand to show the performance of a real estate agent, not all home buyers are alike, nor do they look for the exact same things. So what aspects are crucial when looking for a real estate agent to assist you in your home buying process? 1. Check for recommendations – if you don’t happen to personally know any of the agent’s previous clients, that’s okay; at a time when there’s basically nothing that you can’t find out from the internet and when people are more and more willing to share their experiences via blogs, forums, and comments, there’s no limit to the amount of information you can get from previous clients. If there is no information available, it is safe to assume that the agent you’re interested in might not have been doing this for long—and that again is proof that he might not have sufficient experience and that you should keep on looking. 2. Look up licensing – each state has its own boards, whose role is that of licensing and disciplining local agents. It might be a good idea to look up in your state’s regulatory body to see whether a particular agent is licensed or if he has ever encountered any problems that called for disciplinary actions. This way you can also find out if any previous clients have filed complaints against him or her. If you are lucky and live in states like California or Virginia, you have online databases that you can easily use to extract this type of information on your local realtors. 3. Make sure your agent has a solid online presence – as we have previously mentioned, internet is now king. And if we are to take into account the fact that more than 85 percent of all home buyers claim to have seen their house online first, we can safely say that a real estate agent that is technologically impaired or does not have a person to assist him with the tech-side of the home buying process is probably not the best choice. And if you also prefer emailing and texting rather than spending a lot of face-to-face time with your agent, look for one that is carrying around a gadget with him at all times. 4. First time buyers, bet on experience – I’m not saying that you should look for an agent that’s been around since the Reagan administration; but a good track record and solid industry and local market knowledge are key, especially for first time buyers that are less familiar with the entire process and don’t know what to look for. 5. Look for an exclusive buyer’s agent – this should actually be at the top of your list! 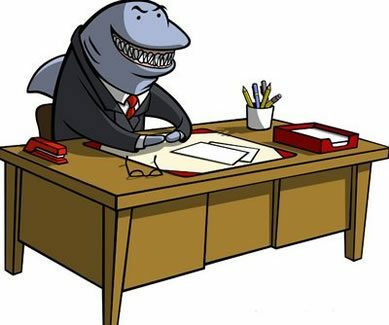 The unpleasant part is that they will be paid directly by you, either through an hourly or contracted fee, but he will oversee your direct needs and wants, and will not be looking to sell you a house just so that he can cash in on the commission. There are cases when the seller’s agent will be splitting the commission with the buyer’s, so you’ll have someone catering to your needs without any extra charge. 6. The place where you meet your agent is very important – an agent that is always in his office might not be the best choice; a good agent rarely stays in, and spends more time seeing houses, meeting clients or at open houses. If you meet one that is stuck to his desk, simply move on! 7. 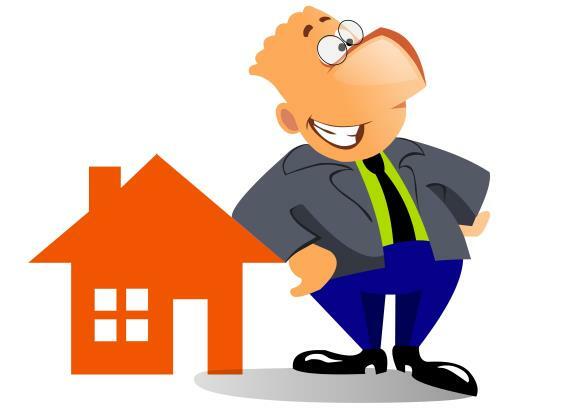 Look for a local agent – while this isn’t necessarily a must, a local real estate agent could prove himself to be much more useful, as he might have a better sense of what’s going on in the local real estate market. He’ll also know how to handle clients and would already have sufficient connections in the industry to let you know when other potential buyers will be bidding for the property you want. Not to mention he’ll be there to warn you if there happens to be a sewage treatment facility or anything of that kind in the area you’re looking at. 8. Ask if he is a full-time agent – yes, I know the question might seem a bit off-topic, but you’ll be grateful for asking! Real estate agents are great sellers, so he might also be an entrepreneur, or also dealing with another industry. And while I’m not suggesting that he cannot be successful ay both, I’m sure you’d like your agent to be at the top of his game when negotiating your contract, and not worrying about how to manage his afternoon business. 9. Meet several agents – the one that can convince you without doubt that he should be your top choice is the one you should get! After all, besides market knowledge, you need your agent to be persuasive; if he can’t convince you to hire him, how can you expect him to convince a seller to give you a better price? 10. Make sure he can relate to you – and the other way around! Never hire a person you don’t like on a personal level, no matter how many degrees, qualifications and recommendations he might have! You’ll simply be making it difficult for both of you, and the end results might not be satisfying; you might even end up changing him for somebody else due to conflict of opinions. If he thinks you’re too picky—and says that to your face—he’s not the agent you’re looking for! Home and Real State Copyright © 2019.